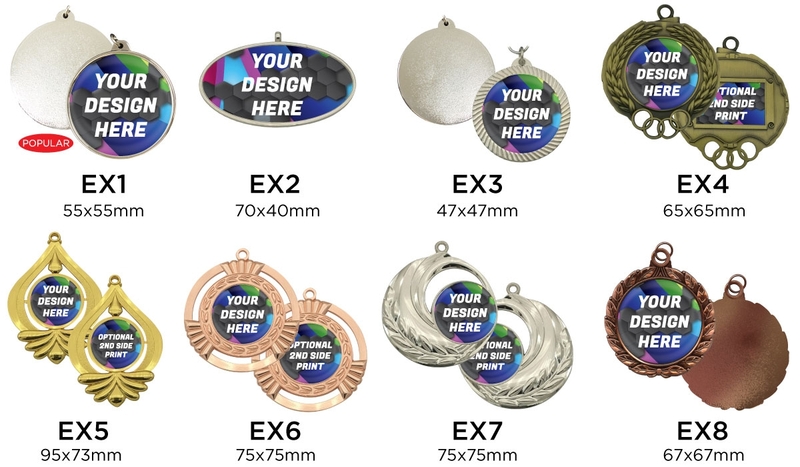 These express medal have a centre that can be custom branded with your logo or business details. This express medal comes at the size of 70mm x 40mm. They have a moulded design around the whole outside of the branding area. Using an epoxy dome badge with your details and information branded enables you to have a full colour graphics and gradients in your design.